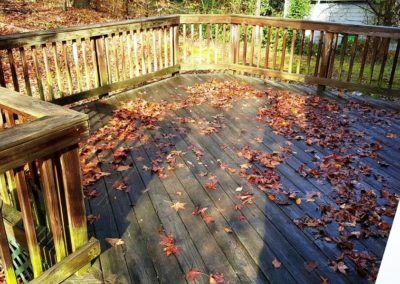 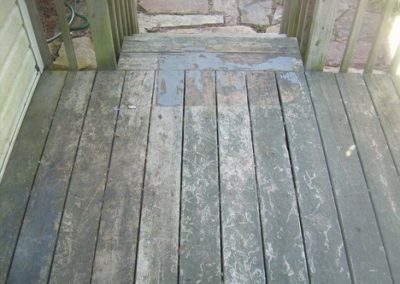 Deck cleaning is where many homeowners can cause thousand of dollars in damage to their property. It appears to be an easy venture…no ladders, no chemicals, etc. 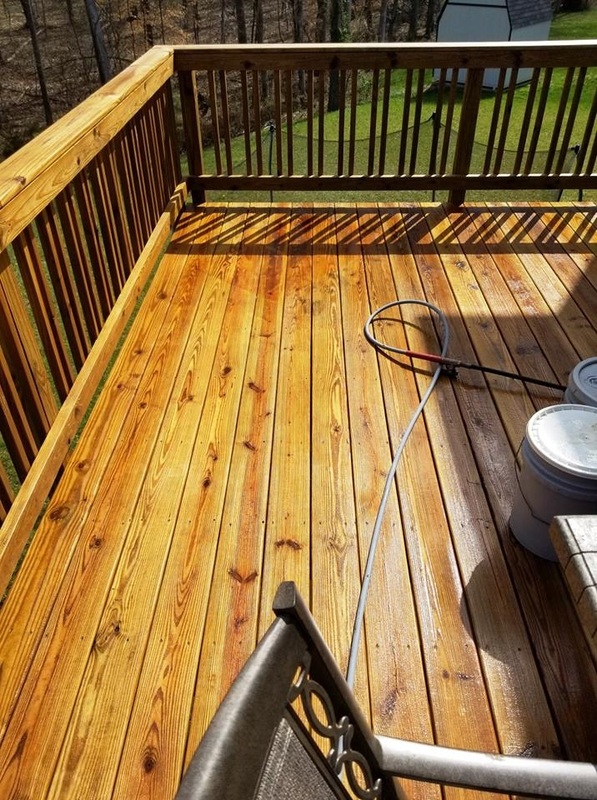 Cleaning wood is a commonly misunderstood process. 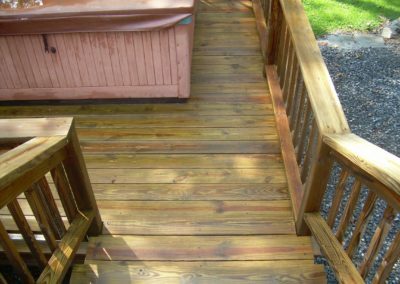 Wood is soft, with a variation of delicate fibers that can be easily damaged with too much water pressure. 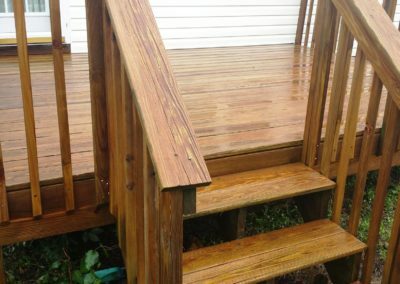 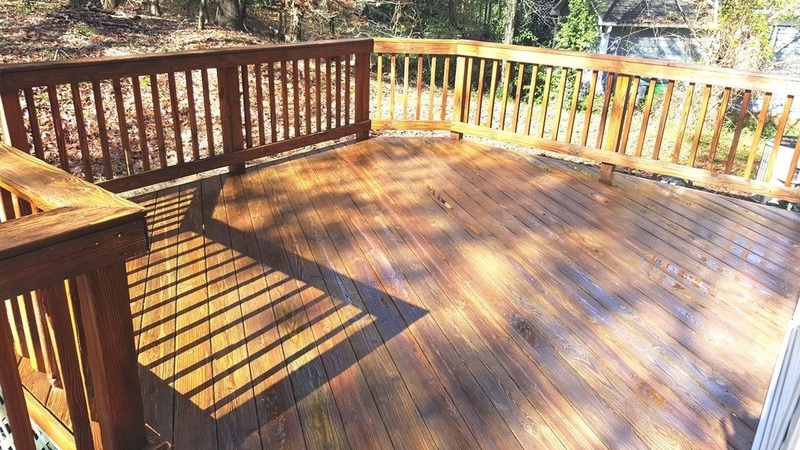 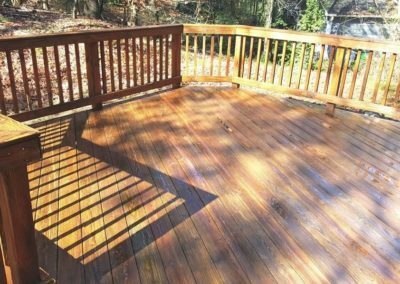 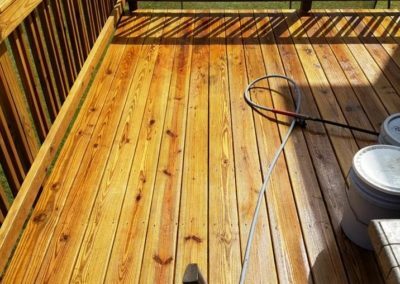 Using proper cleansers, Camelot Pressure Washing washes the wood with the correct amount of pressure. 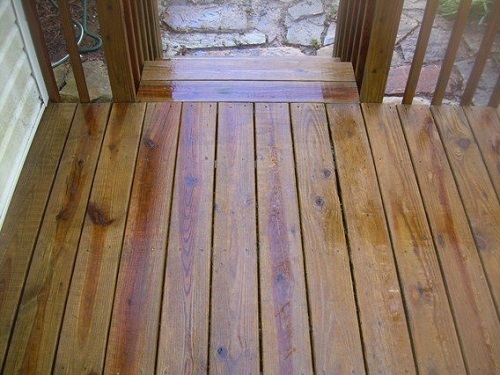 We then do a brightening and neutralizing process to prepare the wood to be sealed. The number one reason a sealer fails is because the wood is not prepared properly. 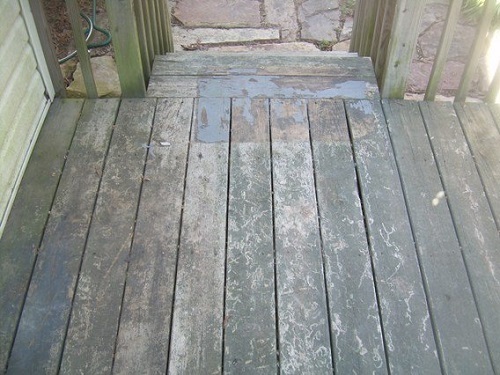 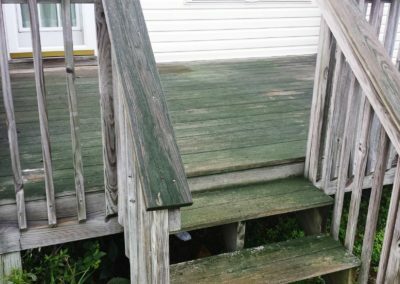 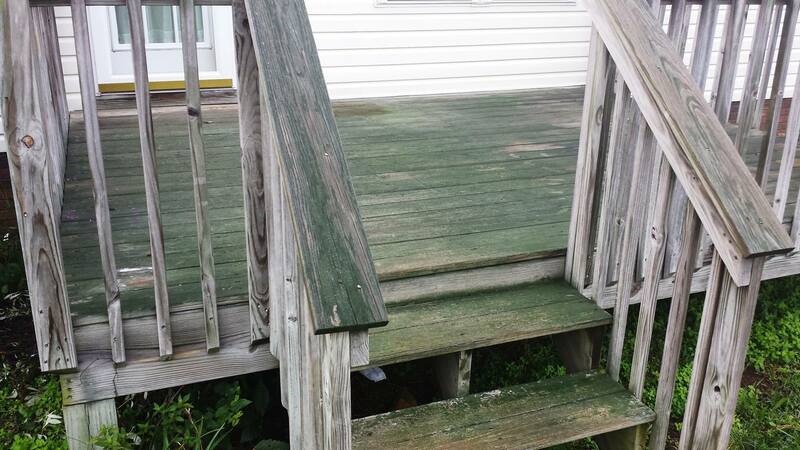 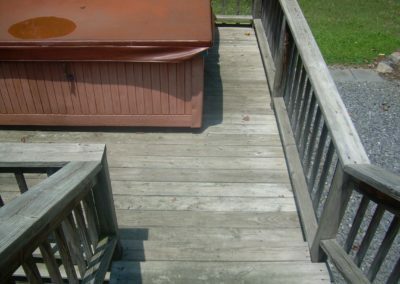 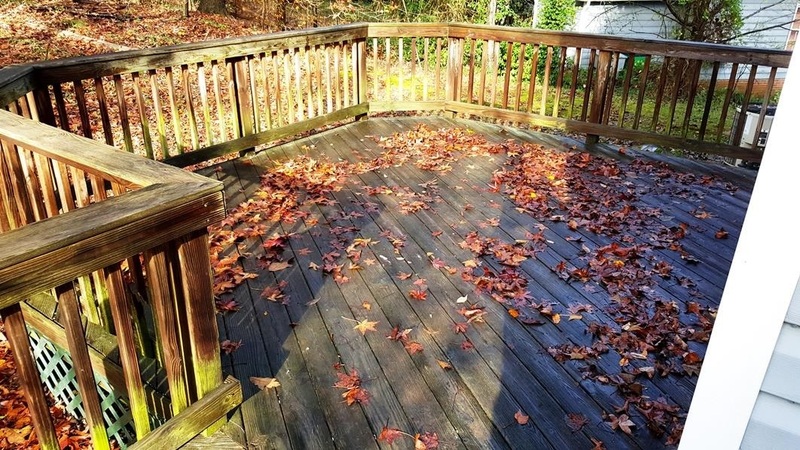 We’ll give your deck the face lift it to make it look almost-new again! 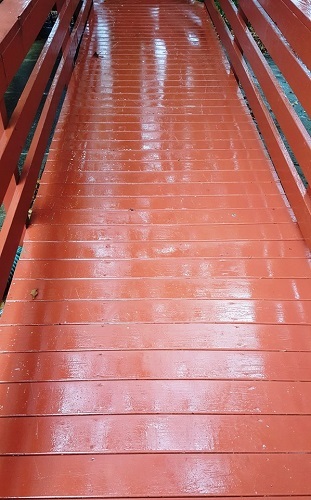 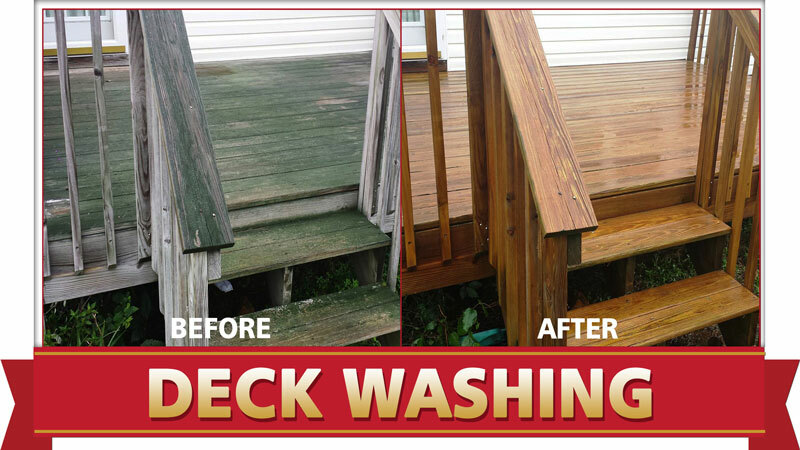 Camelot Pressure Washing Can Clean That Deck! 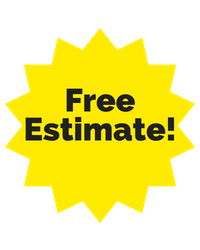 Our three MAIN services areas are Charlotte, Concord, and Harrisburg in North Carolina. 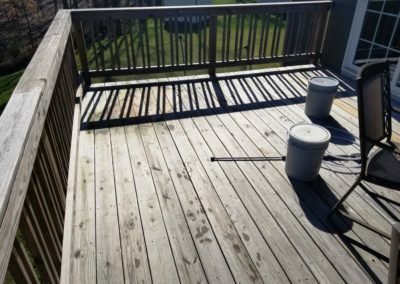 In Mecklenburg County, our techs pressure wash homes and commercial properties in Charlotte, Cornelius, Davidson, Huntersville, Matthews, Mint Hill and Pineville. 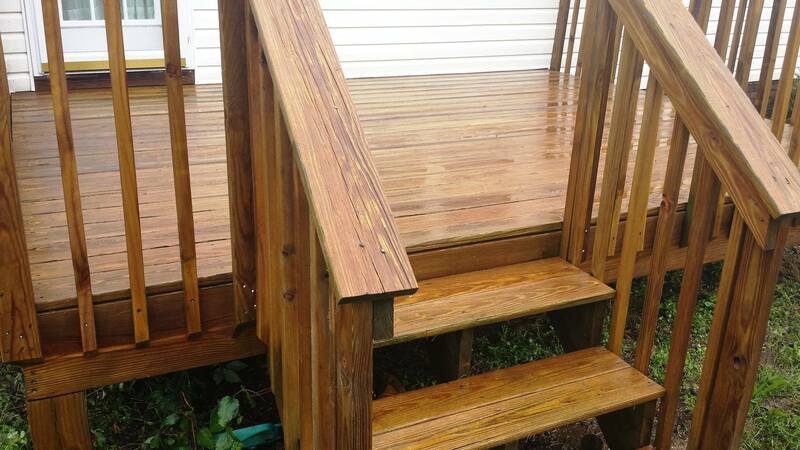 In Cabarrus County, we work in Concord, Harrisburg, Kannapolis, Midland and Mount Pleasant. 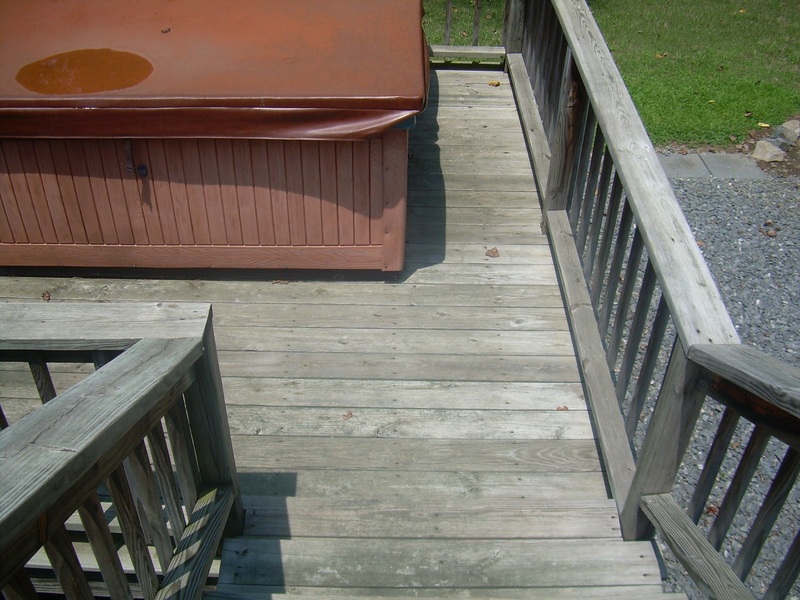 In Union County, we travel to Indian Trail, Marshville, Marvin, Matthews, Monroe, Stallings and Waxhaw. 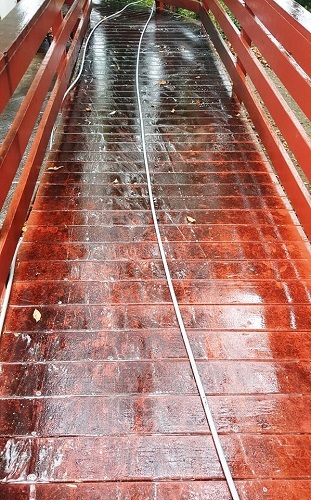  We look forward to serving you with all your exterior cleaning needs!